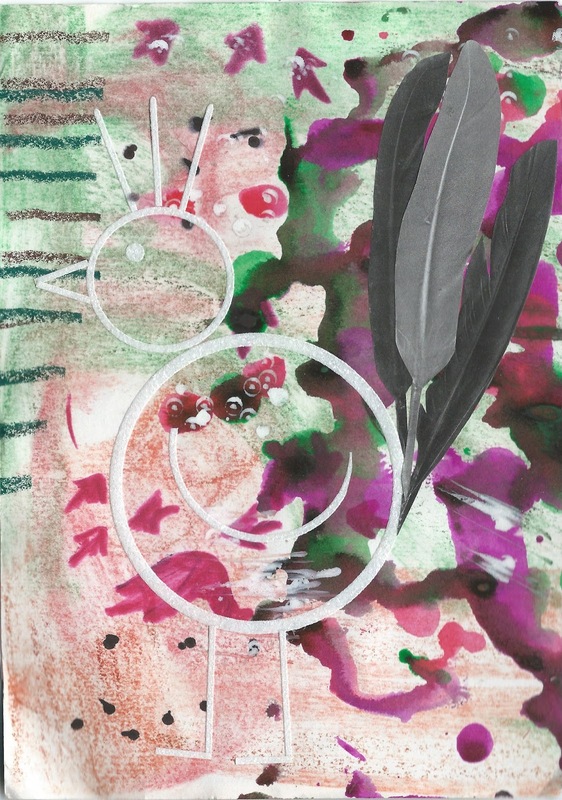 Love the way Stripygoose has abstracted this FEATHERED friend and placed it on an abstract and complex background! You can turn it upside down and it begins to look like a DKult doodle. 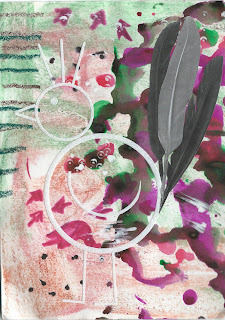 Stripy writes of DKult doodles on the back and suggests a meetup at a mail art exhibit in Folkestone. It looks like I missed it… yesterday was the final day. I will try to take part next year!